Experts commented the research that showed that about 160,000 households facing homelessness across the United Kingdom and 76 percent increase in rough sleeping forecast for the next ten years. LONDON (Sputnik) — About 160,000 households facing homelessness across the United Kingdom and 76 percent increase in rough sleeping forecast for the next ten years, reported in the recent survey, are not new or surprising trends, amid the existing issues in the welfare system, experts told Sputnik. 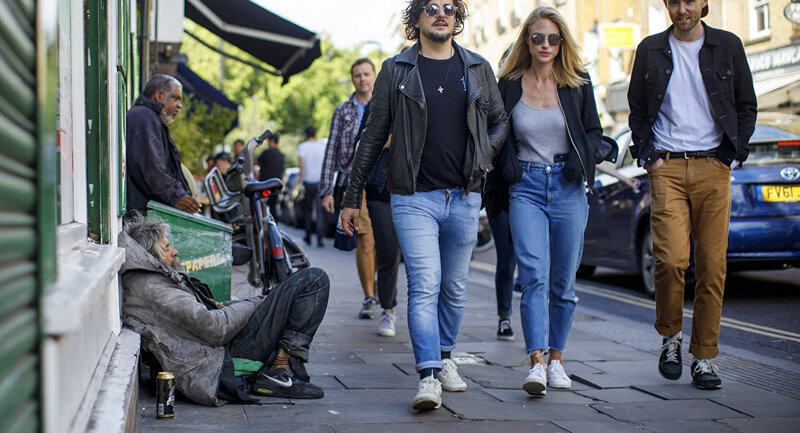 The research, published by Crisis, the UK national charity for single homeless people, earlier in August, said that a little less than a quarter of a million people were affected. “These statistics, although disturbing, come as little surprise to us as rough sleeping has been steadily increasing for over seven years now,” Luke Raikes, a researcher with the Institute for Public Policy Research think tank, told Sputnik. The research found that most of the impacted households were single adults of working age, but families with children were also not exempt. Both Raikes and Montague pointed out that the welfare system was at the root of the problem. “The stronger the social welfare net is the less likely you are to see an increase in homelessness during times of economic crisis. The problem is there have been various welfare reforms put in place that have eroded that net, which, coupled with a real shortage of affordable housing, is having a definite long-term and negative effect,” Raikes said. The Crisis study suggested that poverty was the most important factor behind the rise in homelessness. Among other factors were the availability and affordability of accessible housing.Montague also pointed to “a completely broken housing system” as the root cause of the problem. “More and more people are just falling into the private rental sector, with housing increasingly being seen as a financial asset, not a means toward social provision,” Montague said. In response to the Crisis survey, the Local Government Association (LCA) said that while local councils want to end homelessness, they need help to achieve this goal, particularly in terms of implementing a number of welfare reforms. According to the LCA, only “a renaissance in council house building” would help address the problem. “For that to happen, government needs to allow councils to borrow to invest in genuinely affordable housing, and to keep all of their receipts from Right to Buy sales, so that money can be reinvested into delivering genuinely affordable homes,” the LCA said. The Chartered Institute of Housing (CIH), a non-profit working to support the housing sector and encourage it to improve, warned last year that a total of 370,000 council and housing association homes in England could be lost to the private sector by 2020. The situation has not failed to attract international scrutiny. In 2013, UN Special Rapporteur Raquel Rolnik urged the UK government to abolish the so-called bedroom tax. The UK government amended welfare laws in 2013 so that people living in social housing would have their housing benefits cut by 14 percent if they had a spare bedroom, or by 25 percent if they had two or more. The amendment stipulated that two children under 16 of the same gender or two children under 10 of different genders would not be entitled to separate bedrooms. The 2013 UN report suggested that the United Kingdom was facing deep-rooted problems with both affordability and availability of housing. Then-Housing Minister Kris Hopkins dismissed the report as partisan. Iranian Foreign Ministry spokesman Bahram Qassemi stated that US report on religious freedom portrayed a distorted and politicized image of religious freedom conditions in the country. 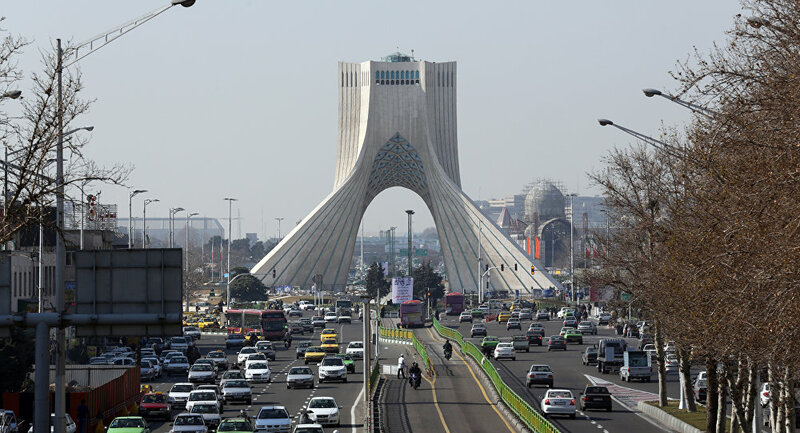 MOSCOW(Sputnik) — Tehran criticized the US report on religious freedom for “unfounded and biased” coverage of the situation in the country, Iranian Foreign Ministry spokesman Bahram Qassemi said in a statement on Wednesday. On Tuesday, the US Department of State issued an International Religious Freedom Report for 2016. Comprising an overview of the situation with violations on religious grounds, the document alleged that Iranian authorities harassed and arrested representatives of religious minorities, such as Bahais, Christians, Sunni Muslims and others, adding that over 300 members of such groups remain imprisoned for their religious activities or beliefs. “This report has once again portrayed a distorted and politicized image of religious freedom conditions in the Islamic Republic of Iran,” Qassemi said in a statement, published on the Iranian Foreign Ministry’s website. Qassemi stressed the necessity of avoiding politicizing the issue of religion and religious diversity, otherwise it could lead to the escalation of inter-religious crises. “In order to settle religious differences and getting them [religions] closer to each other, one should strongly avoid politicizing the issue… The US administration seems to have forgotten about this important goal and is only trying to take political advantage of the existing religious diversity in some countries in the world,” the statement read. The 2015 report claimed that non-Muslims and non-Shia faced societal discrimination with at least 250 members of minority religious groups remained imprisoned. The Ukrainian sniper opened fire at construction workers in the area around the Maiorsk checkpoint near the city of Horlivka, located in the self-proclaimed Donetsk People’s Republic (DPR), the acting head of the city administration said on Wednesday. 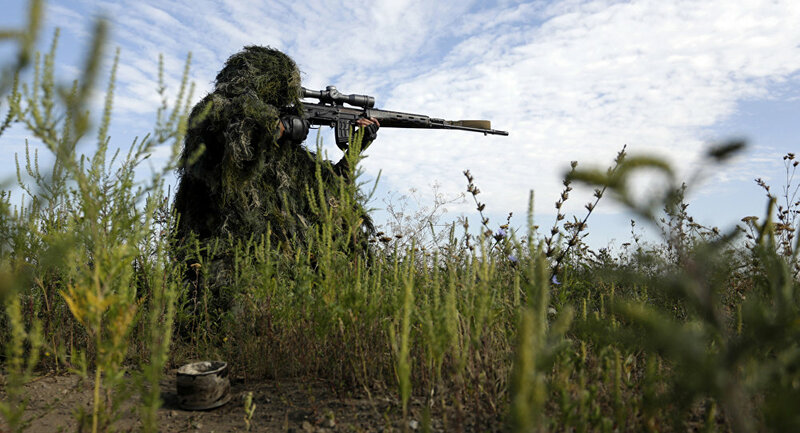 DONETSK (Sputnik) — The official said that the sniper opened fire when six construction workers were in the area. No one was hurt in the shelling, the official added. “There were exactly four bullets, according to the marks on the building. Thank God no one was shot. But it is obvious that the Ukrainian side is trying to breach the ceasefire by all means and arranges regular provocations,” the spokesman added. A military conflict in Ukraine has been ongoing since 2014, after the residents of Donbass refused to recognize the new Ukrainian government that had come to power in what they perceived to be a coup. In February 2015, the parties to the Ukrainian conflict signed the Minsk peace accords in an effort to end the fighting in the crisis-torn region.However, the hostilities have not ceased and the conflicting sides continue to accuse one another of violating the truce. According to the latest UN data, more than 10,000 people have died in the conflict. Robert Mugabe’s wife Grace has gone to ground after being arrested for allegedly beating up a model who was cavorting with her sons in a hotel room in South Africa. The incident could prove to be a hugely embarrassing diplomatic incident for South Africa’s President Jacob Zuma. President Zuma narrowly survived a vote of no confidence earlier in August, and the incident with the wife of President Mugabe — who is a close ally — is the last thing he needs. ​Gabriella Engels, 20, showed off pictures of her injuries on social media after the incident at a swanky hotel in the Sandton suburb of Johannesburg at the weekend. 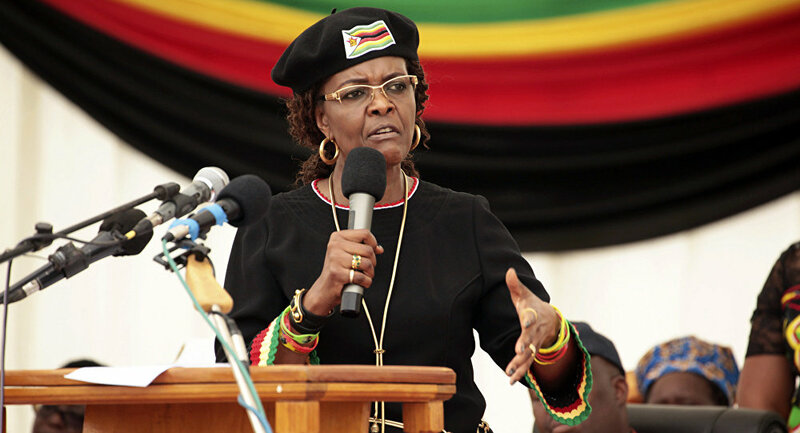 She had a gaping cut in her forehead which she claimed to have suffered when she was hit by a plug on an extension lead brandished by Mrs. Mugabe. Although he is 93, Mr. Mugabe retains a vice-like grip on Zimbabwe and last year he was confirmed as the ruling ZANU party’s candidate for next year’s presidential election. Mrs. Mugabe, who is 41 years younger than her husband, used diplomatic immunity in a bid to escape prosecution for the incident. ​She reportedly became angry when she found Miss Engels in a room at the hotel with her sons Robert Mugabe junior, 25, and Chatunga Mugabe, 21. Miss Engels, who is South African, claimed Mrs. Mugabe’s bodyguards did nothing to stop the attack. “What is a girl compared to a women beating you and 10+ body guards standing back leaving her to do this s***,” she wrote on social media. “She split my head open in 3 places with an extension cord and used the plug to hit me,” claimed Miss Engels, who pointed out that as a model her looks is her livelihood. Miss Engels contacted the police on August 14, about the incident. On Wednesday, August 16, the South African Ministry of Police published a statement in which they said “the suspect” made arrangements to be interviewed at a police station at 10am on Tuesday, August 15. “The time scheduled was changed several times. By end of business yesterday she had failed to present herself as arranged,” said the statement, which added that Zimbabwean government representatives did come to the police station. “The suspect’s lawyers and government representatives made verbal presentations to SAPS (South African Police Service) investigators that the suspect wished to invoke diplomatic immunity cover,” said the police. The police said the Zimbabwean government had then formally submitted a document invoking diplomatic immunity on behalf of the president’s wife. “The suspect remains in South Africa and has not departed the republic. We are advised her itinerary includes amongst private matters her attendance and participation at the scheduled SADC heads of state/governments summit and bi-lateral diplomatic meetings already underway in Pretoria,” they added. But the statement went on to say that arrangements are taking place with the Zimbabwean High Commission to make sure she is “processed through the legal system,” which suggests her diplomatic immunity has not been accepted by the police. The Police Minister, Mbalula Fikile, has come under intense pressure on social media in South Africa to prosecute Mrs. Mugabe, but his boss, President Zuma, may not want to disrupt the good relations he has with the Zimbabwean leader. Mr. Mugabe’s sons were previously living in Dubai, but moved to South Africa earlier this year after their parents reportedly became concerns about their partying habits. UN Secretary-General Antonio Guterres said that Venezuela needs a political solution based on dialogue and compromise between government and the opposition. UNITED NATIONS (Sputnik) — Dialogue between the government and the opposition should serve as a platform for the development of a political solution to the crisis in the country, UN Secretary-General Antonio Guterres told reporters on Wednesday. 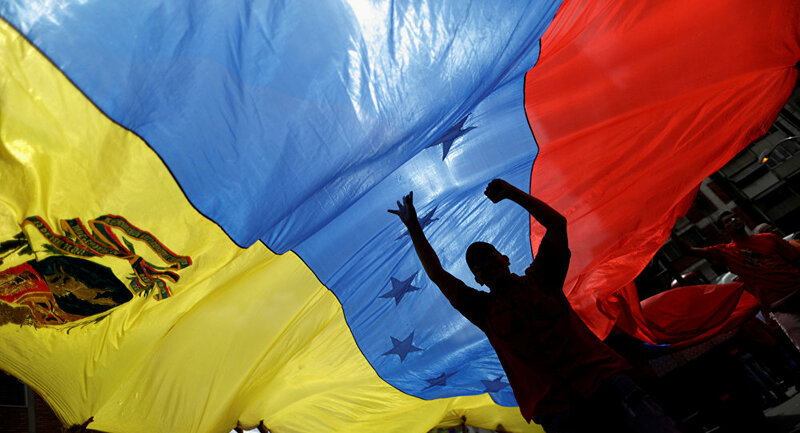 “Venezuela needs a political solution based on dialogue and compromise between government and the opposition,” Guterres said. The US Department of State is aware of reports about toxic agents used in Syria, a department official told Sputnik on Wednesday. WASHINGTON (Sputnik) — Syrian Deputy Foreign Minister Faisal Mekdad earlier in the day accused US and UK-based companies of supplying toxic agents to terrorists, adding that CS and CN substances, allegedly produced by NonLethal Technologies and Chemring Defence, were found in Aleppo and Damascus. “We have seen these reports. Let’s be clear, we have long expressed our strong condemnation of the use of chemical weapons. [Its] use by any party in Syria would violate international standards and norms,” the official said. The official provided no additional comments on the companies, but reiterated the US position that the government of Syrian President Bashar Assad was responsible in previous instances of chemical weapons use. Russian Foreign Ministry spokeswoman Maria Zakharova said the fact that the United States and the United Kingdom could have supplied toxic agents to militants in Syria is “beyond understanding.”The Organization for the Prohibition of Chemical Weapons said in June that its fact-finding mission confirmed that man-made chemical sarin, a gas used as a chemical weapon, was used in an attack on Khan Shaikhoun in Idlib in early April, but did not determine who was responsible. The US-backed militias blamed the use of chemical weapons on the Syrian government, despite Syrian President Assad told Sputnik following the attack in April that there was no chemical weapons in Idlib. 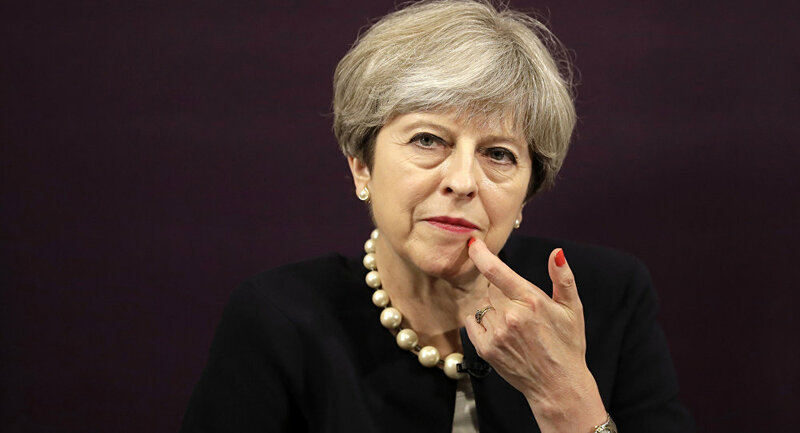 Almost 50 percent of UK nationals believe Prime Minister Theresa May should resign before the next general election in the country scheduled in 2022, a poll revealed on Wednesday. 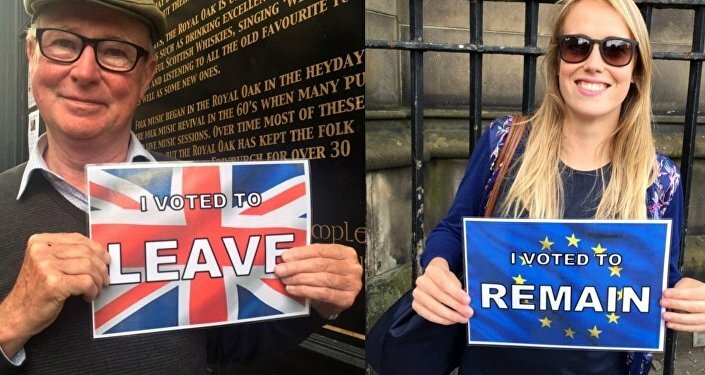 MOSCOW (Sputnik) — The BMG survey, conducted for the Independent newspaper between August 7 and August 11 among 1,512 people, showed that 48 percent would want the prime minister to quit before 2022, with 29 percent saying that May should stay for the whole of the next parliament. The poll also found that UK Labour party leader Jeremy Corbyn had a one percentage point lead in terms of who UK citizens would prefer to have as the country’s prime minister, as he received 33 percent against May’s 32 percent. At the same time, the Conservative Party retains a three-point lead in voting intention, by 42 percent to Labour party’s 39 percent, the survey showed.The poll’s results come two months after the UK parliamentary snap elections, which were initially intended to unify the political leadership ahead of the upcoming Brexit negotiations. May’s authority was shattered as the vote resulted in a hung parliament and prompted the Conservatives to agree a deal on support with the Democratic Unionist Party (DUP). Posted on 16 August 2017. Leonid Slutsky, the chairman of the Russian lower house of parliament’s International Affairs Committee, said Wednesday that Damascus has right to turn to the United Nations in wake of reports that Western chemical weapons had been found in Syria. 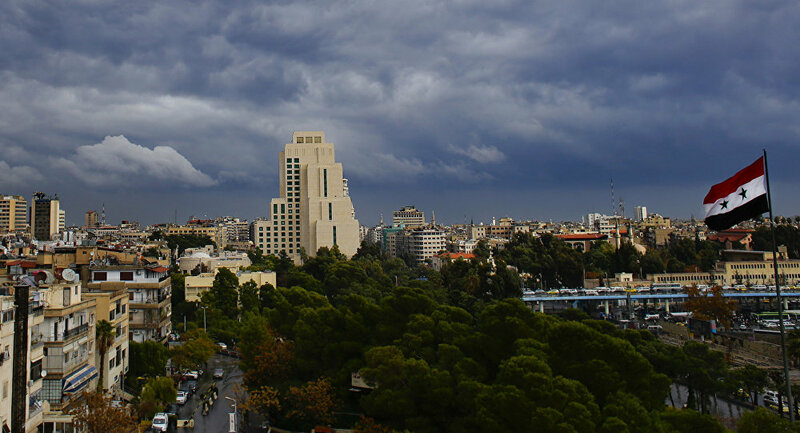 MOSCOW (Sputnik) — Syrian Deputy Foreign Minister Faisal Mekdad earlier in the day accused Washington and London of supplying toxic agents to terrorists, stating that CS and CN substances allegedly produced by US NonLethal Technologies and UK Chemring Defence were found in weapons depots abandoned by militants in Syria’s Aleppo and a Damascus suburb. “Syria now has all the reasons and the right to address the United Nations over western-produced chemical weapons found on the territories liberated from terrorists. The information released by the Syrian Foreign Ministry once more demonstrates in full the hypocrisy of the members of the western US-led coalition, and proves that the entire goal of the entire operation is to remove the regime of President Bashar Assad,” Slutsky told reporters. He added that in order to reach that goal, the western countries were ready to do everything from spreading fake news to actually supporting terrorists. “Now it is even clearer that Idlib, where pro-governmental Syrian forces allegedly used chemical weapons, was the first step in one big chain of provocations to justify the Tomahawk missile strikes in violation of the international law and sovereignty of the Syrian Republic,” Slutsky added.On April 4, the National Coalition for Syrian Revolutionary and Opposition Forces announced that several dozen people had been killed by a suspected chemical attack in Khan Shaykhun in Syria’s province of Idlib. Four days later, the United States fired missiles against the Syrian government airbase in Idlib in response to the alleged chemical weapons attack, which he White House blamed on Damascus without providing evidence. Syrian authorities have refuted any involvement in the incident, saying that the complete elimination of the Syrian government’s stockpile of chemical weapons was confirmed by the Organization for the Prohibition of Chemical Weapons (OPCW) in January 2016. The truly monstrous character of imperialism has been on full display in recent days. A new, nuclear war aimed at annihilating the DPRK, with weapons immensely more powerful than those dropped on Japan, is now being openly promoted by elements of the U.S. ruling establishment. In other words, it’s fine with Graham and Trump if thousands of Koreans, Japanese and U.S. troops die, so long as the United States itself is not affected! The drive toward war was heightened by the UN Security Council’s passage of a U.S.-authored resolution imposing harsh new sanctions on the DPRK’s economy. After the U.S. refused a Russian-proposed amendment stating that the aim of sanctions was not regime change, Russia still bowed to U.S. pressure and voted for the resolution, as did China. Ever since the Korean War, when the United States leveled all of North Korea and killed 4-5 million Koreans, a wing of the U.S. ruling class has sought regime change in the DPRK. The war never actually ended. Combat was suspended by an armistice agreement signed in 1953, when the Eisenhower administration told the DPRK leadership that if they didn’t sign, the U.S. would destroy all the population centers of the North with nuclear bombs. The combined military force of Chinese volunteers and North Korean military units and guerrillas evicted U.S. and allied troops from North Korea and drove them south of the 38th parallel. Thus, the Korean war constituted the first military defeat for U.S. imperialism, followed 20 years later by its defeat in Vietnam. North Korea’s militancy and tenacity in its struggle to preserve Korea’s national identity in the face of the U.S. imperialist onslaught remains a characteristic feature of the political and psychological orientation of the DPRK. In the 2017 annual massive military maneuvers involving hundreds of thousands South Korean and tens of thousands U.S. troops, the commanding generals freely spoke of “rehearsing” for invasion of the North and “decapitation” of its leadership. But mainstream media, liberal as well as conservative, acts, as always in times of war danger, as transmitters of Pentagon propaganda. Certain key terms are endlessly repeated – “the dictator,” “the North Korean threat,” “murderous” and “rogue state” – terms that are never applied to U.S. allies no matter how dictatorial, nor, of course, to the United States itself no matter how many it kills. The main factor restraining a U.S. military assault on the DPRK up until now has been the North’s military capacity to hit back at South Korea and Japan if attacked. Both of the latter countries are home to many U.S. bases. In true colonial fashion, South Korea’s military would still be under U.S. command in the event of a war. In his 2002 State of the Union message, George W. Bush ludicrously labeled Iran, Iraq and North Korea the “axis of evil,” and the next year invaded Iraq and destroyed that country. That was when North Korea put its nuclear weapons program into high gear. The U.S./NATO destruction of Libya after it dismantled its nuclear program reinforced the DPRK leadership’s determination. It is clear that North Korea’s nuclear program is meant as a deterrent. The DPRK leaders know without a doubt that if they were to launch a first strike that they would be annihilated by the far greater nuclear weapons of the US. The advance of the DPRK’s nuclear weapons and missile programs has caused a deep and intensifying debate inside the imperialist ruling class. One side, represented by Secretary of State Rex Tillerson, Sen. John McCain, and some leading generals believes that a military attack would be too costly and destabilizing. The other side believes that, as Graham put it, war with North Korea is “inevitable, and argues that it should take place sooner rather than later when the DPRK may become militarily stronger. The latter view echoes the “Cold War,” when powerful factions in both the civilian and military establishments argued, beginning in the late 1940s, for pre-emptive strikes on the USSR and the People’s Republic of China. On several occasions the world came close to nuclear catastrophe, and the U.S. government has never agreed to a pledge to forego first-strike use of nuclear weapons. The DPRK has offered a way out of the current crisis, stating that it would suspend nuclear weapons and long-range missile tests if the U.S. and South Korea cease their massive military maneuvers, and the United States signs a peace treaty ending the Korean war. Trump, like Obama before him, has flatly refused. The Party for Socialism and Liberation rejects the demonization employed by imperialism against all targeted countries and governments, which is particularly intense towards the people and state of the DPRK. 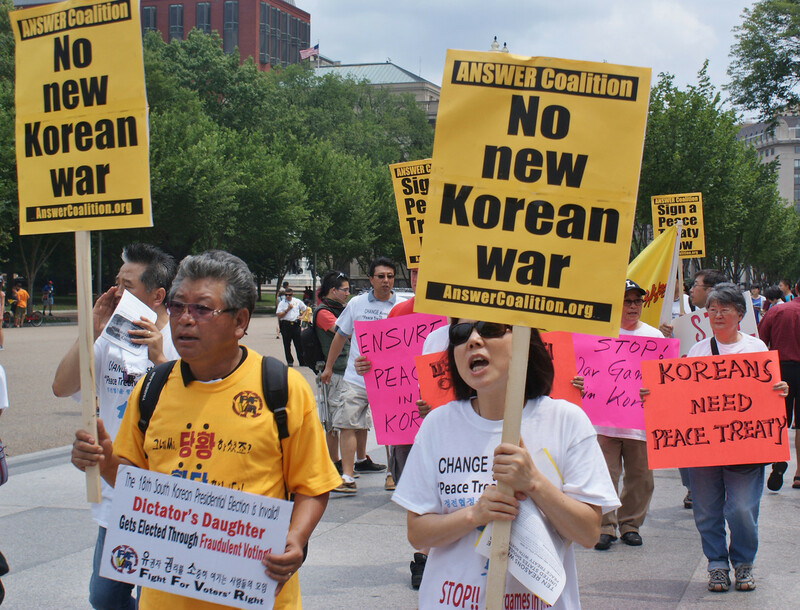 We stand with the Korean people and all the people in Asia who resolutely oppose any new imperialist aggression against the people of North Korea. Zionist puppet President of the United States just went on national television and defended neo-Nazis and white supremacists. He said “both sides” — the white supremacists and those protesting hate in Charlottesville — deserve blame for what happened. He praised the white supremacists for having a permit for their march. It’s almost too upsetting to believe that he sees two sides here, and that he chose to defend the side that stands for hate and that took a life. But it’s true. The video is here. Since the press conference, Democratic Senators and Representatives have strongly condemned President Trump’s revolting false equivalency and defense of white nationalists. Congressional leaders from Zionist Trump’s party need to do the same. 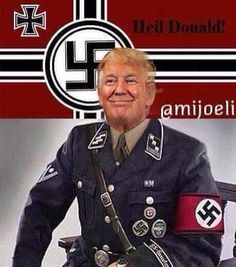 Call Speaker Zionist Paul Ryan and Majority Leader Zionist Mitch McConnell now and tell them it’s their moral obligation to condemn the president’s defense of white supremacists in the strongest possible terms.